Alec Baldwin’s duckface, Tom Sturridge’s worst impression of a famous actor, and Ben Foster’s impression of Alec Baldwin welcome you to this post. 1) It’s like a Harold Pinter play. Minus the confusion. Ben Foster and Tom Sturridge play Treat and Philip, two orphaned brothers fending for themselves. Treat does some petty thieving– a couple of diamond bangles, some cash here and there– while his mentally retarded brother, Philip, stays in the house all day under the false impression that he is ‘allergic’ to the outdoors (a ploy created by Treat to keep his brother safe). One day, Treat brings home Jack Donnaghy Harold, a mysterious stranger, also an orphan, whose briefcase has some shady stocks and bonds stuff (idunnowhatthestockmarketis). Treat drugs and kidnaps him. The next morning, Harold offers them a chance to change their lives around under his employ. It’s a bit like if Harold Pinter met Charles Dickens and they had some kind of strange, multi-genre, sentimental, and super funny baby. 2) Give the man his Tony! You might hesitate to give an award (or any praise whatsoever) to a man who makes this face and manages to go home to Sienna Miller at the end of the day. 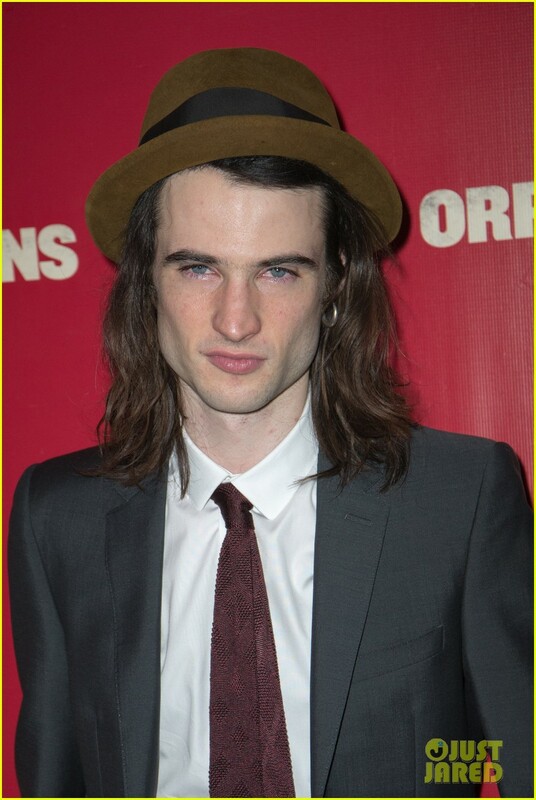 But believe it or not, I am of the opinion that if Tom Sturridge doesn’t get a Tony for this role, it would be a GIGANTIC Broadway crime. 3) Ben Foster is particularly amazing while shrieking. A high-pitched Ben Foster is a good Ben Foster. Carry on. Now, I usually like Baldwin. But his portrayal of Harold feels a bit like a rehashed SNL character. It works in the funny bits. But when you’ve got Tom and Ben giving it all that they got, and Alec formulaically saying his lines like he had Adam Sandler in his arms, well, it just ain’t right. I should say, however, that Harold is nowhere near as fleshed out a character as the brothers. His mystery and lack of background enables him to ease his way into the family. But characters can still be mysterious while making their lines actually sound slightly different than every other one they’ve just said. AMIRIGHT? The brothers’ living room is more like a jungle gym, a crazy womblike jungle gym. A question though- If you go to the expense of building a second floor and the actors never use it, does it really exist? All in all, Orphans is a fun time to be had. I totally recommend it.